Food Blogs At Your Fingertip! I don't consider myself as a real foodie. But, I enjoy doing the food hunting, especially over the weekend. That's when I can travel around without worry much on the horrible road jam to find and enjoy the hidden gem in the city. Of course, you may ask how do I know where's exactly the "hidden gem" located and what's nice or worth to try at there? The answer is SPOT Malaysia News! SPOT Malaysia News is like Flipboard for Malaysia. 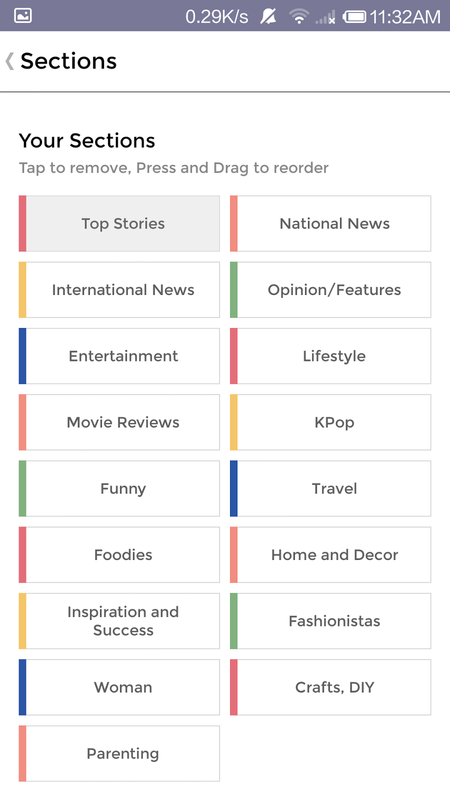 SPOT Malaysia News helps you to discover local and international content by putting 250 Malaysian newspapers and magazines in your pocket, making you smart and in-the-know. It has 36 unique categories in 3 different languages - Malay, Chinese and English! Needless to say that one of my most favorite categories would be the Foodies section! As a Malaysian, I prefer it to be localized. 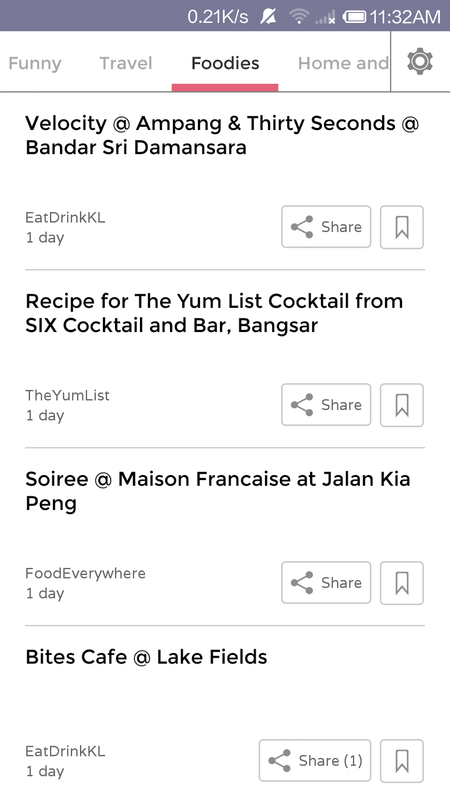 When I saw I can actually read all the food blogs that I follow through this app, I say no more to google or type the site one by one on my mobile browser which often take some time to load. Sharing is caring! I also can easily share any nice new place to hangout with my bestie by just clicking the sharing button. What I normally do is share it in our group chat and start planning with each other. Easy-peasy! p.s: I enjoy reading the news related to Kpop, lifetsyle, woman, inspiration and success, travel, fashionista, home and decor too! Say Yes To Room Service!